Let's Talk Picture Books: Maps! 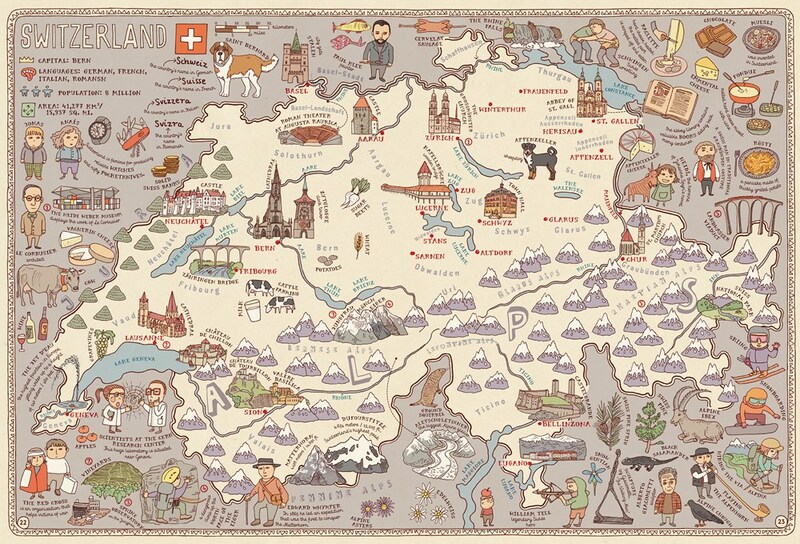 While I'm traveling, I thought I'd do a post on world maps. 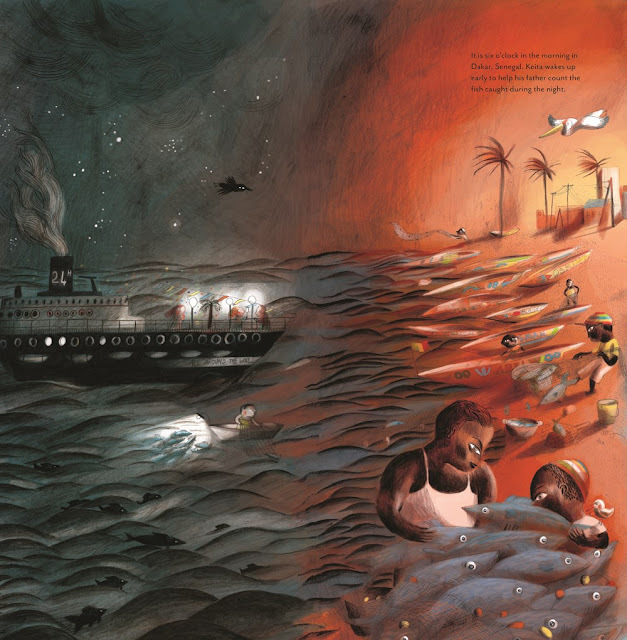 It's easy for children's map books to be flat, saccharine, and unengaging, so the picture books that go the extra mile with stunning visuals and inviting text immediately stand out. 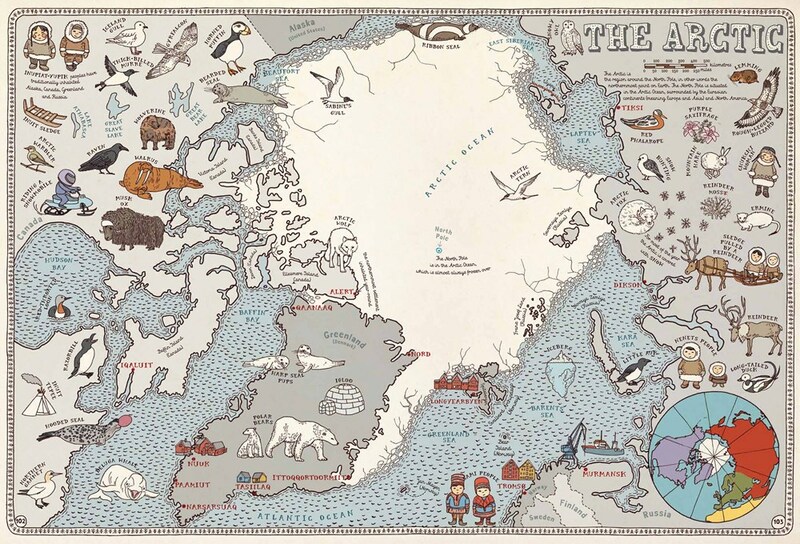 Maps by Aleksandra Mizielinska and Daniel Mizielinski is full of gorgeous mixed media illustrations that visually detail every country, continent, and ocean in the world. Complete with capitols, spoken languages, and population numbers. Maps visually catalogs each area so readers can get a strong sense of the culture in very relatable ways, showing native foods, words, animals, and even dress. It takes days to look at everything, but that's what makes it so great! At the Same Moment, Around the World by Clotilde Perrin takes readers on a 24-page trip around the world, with each page representing a different time zone. We get to see what Chen is doing in Shanghai, China at two o'clock in the afternoon his time and what Ana is doing in the Amazon rain forest in Manaus, Brazil at the same moment when it's two o'clock in the morning her time. 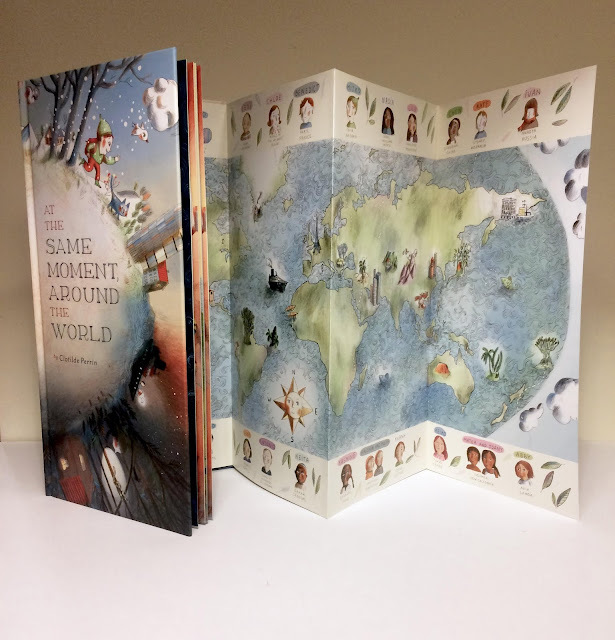 And in the back is a fold-out map of the world featuring all of the kids from the book in their time zones. 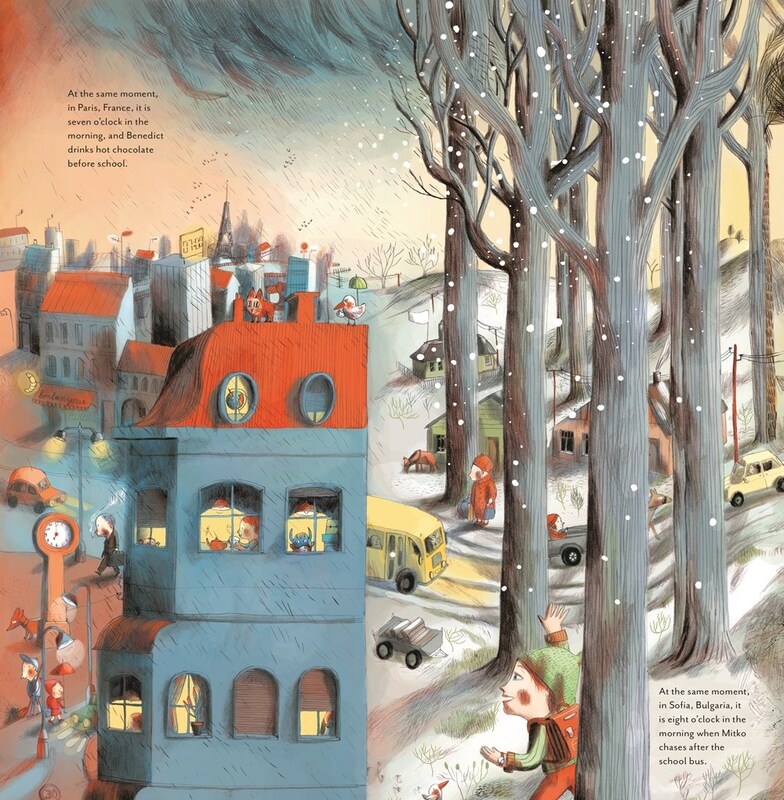 The illustrations are done in pencil, with colors added in digitally, and most spreads blend into each other as they cross from hour to hour. 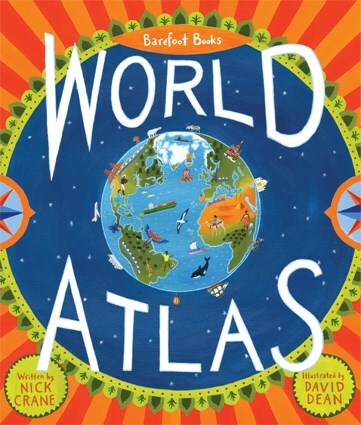 The Barefoot Books World Atlas by Nick Crane and David Dean is informative and visually compelling. It's definitely on the wordier side, but the text is incorporated well into the acrylic illustrations. 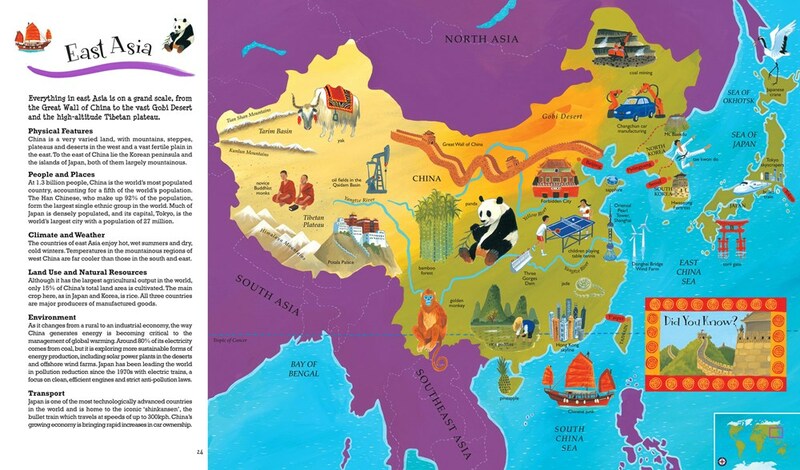 Each new map comes with a block of information about the region, including climate, transport, and wildlife. 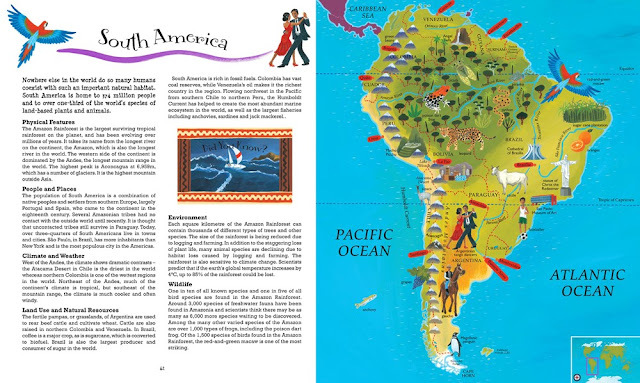 There are flaps galore for readers to lift and read more information, there is a glossary in the back, and the book even comes with a pull-out map to hang on the wall. 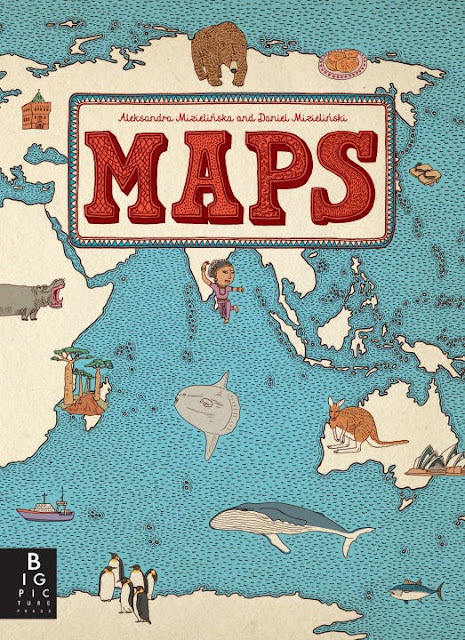 For as much research as I did, I know I'm missing some good additions, so I would love to hear what your go-to map books are!